And now it's my last night in New York City. And now I'm at my brother's apartment prepping for an 8am flight tomorrow. And then I madly unpack until the family arrives on Friday. 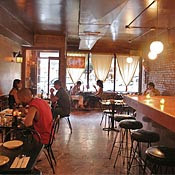 So stay tuned for all new, all exciting LA news! And wish me luck, would ya? then I've got some blogs for you! Even better, I've got mom blogs that like 1000 Times No! For example, there's Design Mom! Mr. Warburton sent over a copy of his new book, 1000 Times No, and my kids love it. They think it's silly and cool and lots of fun. I suspect Oscar takes mental notes while we read it to him — stockpiling ideas to add to his already vast repertoire of how to answer in the negative. Check out the rest of her sooper sweet review HERE... and don't be shy to check out the rest of her blog for all kinds of fun family stuff! One of my recent favorites is the post regarding How To Build A Giant Table... because I could never build a giant table. I can only just watch others do it. Wanna read more? Of course you do... so go over HERE! 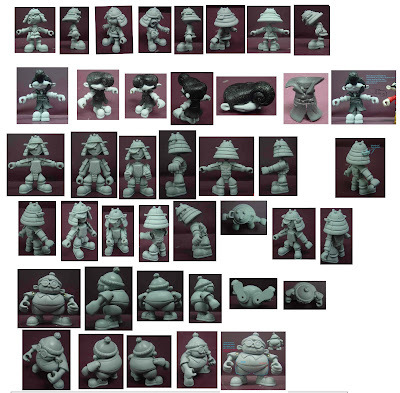 Some rotations of KND toys that never made it to final production! These were the original sculpts by the fine folks at Kiddesigns, who were really amazing to work with! Let's see, we've got boy hating Numbuh 86 at the top. And beneath her is Numbuh One in his disguise from Operation: END. And then there's traitor-but-not-really-a-traitor-because-he-was-really-working-for-the-Galactic-KND-all-along-guy Numbuh 274 (aka Chad). And there's Numbuh Two's little brother Tommy along the bottom. It's really a shame these guys never got made... they look AWESOME! A GREAT DAY ON THE HILL! 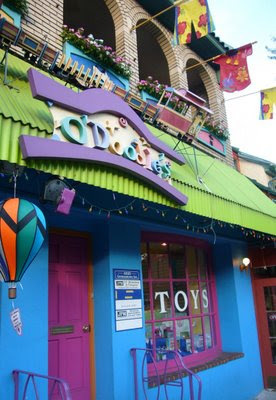 So last time I visited O'Doodles Toy Store in Chestnut Hill, PA it was for the Home and Garden Festival. I sat outside the store and met TONS of people walking past, but I wasn't reading 1000 Times No-- just introducing myself a 1000 Times and signing lots of books for all sorts of folk! I explained to everyone that all you need to make a books it some paper, some pencils or crayons and a mess of tape. Put 'em all together and you just made a book! I told the Philadelphia Inquirer, too... Check it over HERE! 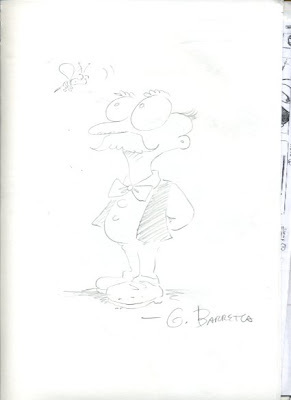 There were some other great authors in town for the Book Festival as well. 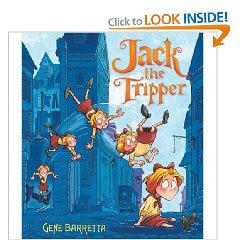 Take Gene Barretta who was there showing off his latest book JACK THE TRIPPER! 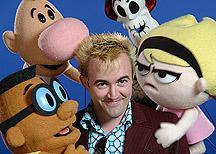 Turns out he worked in animation back in the day and we know a lot of the same people, not to mention both coming from the Philadelphia area! 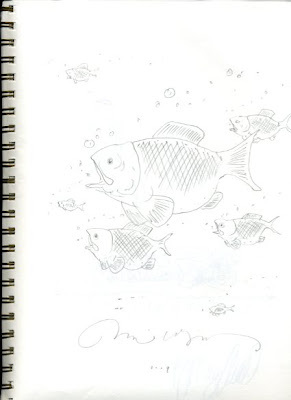 And I was SOOPER excited to hear that sooperstar author Dave Wiesner was in town! But sooper disappointed to find out that he was appearing on Sunday. But then I was double sooper excited when he showed up at O'Doodles while I was there! All in all another GREAT event! Thanks to all those that came! It's the bounciest KND story EVER and detective Numbuh Two is right in the middle of it! And who's back to get her revenge? Man, Numbuh Three's sister Mushi has really got some issues, right? 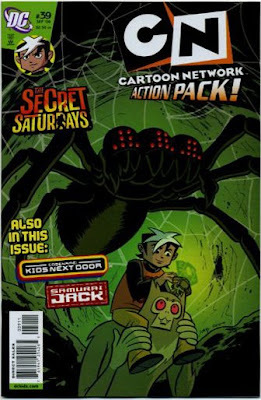 So get out to yer local comic shop and get your own issues of CN Action Pack! ...before he becomes an official resident of the West Coast. I've got my one way ticket to LA for the 26th of July and I still can't wrap my head around it. But what I CAN wrap my head around is the awesomeness that'll be happening upon my triumphant return to Chestnut Hill, PA this Saturday! 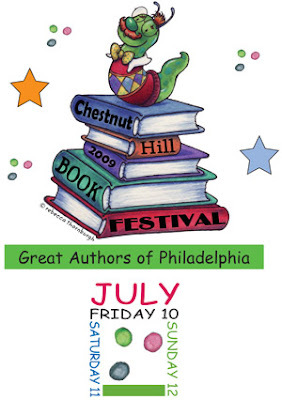 They're having their first annual book festival and were crazy enough me to invite me down to show off 1000 TIMES NO! I'll be at O'Doodles Toy Store from 1:00-3:00 on Saturday, July 11th. Those keeping track know that I was just there a couple months ago for the Home and Garden Festival--- so imagine how much more awesome it's gonna be for a BOOK FESTIVAL? So come on down and say hey, get a book signed, laugh at my pants, whatever. I'll just be happy to see ya! Yet even if you don't wanna see me... there are still a bunch of other authors who'll be loitering about town. Check out the full schedule of events over HERE! I'll assume that by now you've heard the news. Perhaps you thought it a lie or some sort of cruel joke. But unfortunately it's neither of those things. The fact is, I'm leaving you. You know I don't want to. And you know it's not because I don't love you. I cherish you madly and always will. You were my first love after college. My pride and joy. But you were never easy. NEVER that. I've struggled to keep up with you all these years and still aren't quite sure how I managed to do it. and then toss your back your head and laugh as if to say "You'll be fine- all that matters is that we're HERE. Together forever!" Forever? Come on. I'm not naive enough to think I'm your only one. You've enticed so very many like me and told them everything was going to be all right. See, the truth is... I've met someone else. Someone you know. Someone you've never really gotten along with. You've called her tawdry, uncultured, and back-stabbing. And no, she's not perfect by any means. For all I know she'll be just as difficult as you. Maybe more so. She has more for me. More opportunities. More hope. And that's what I need now. I'm not a kid anymore (although that's up for debate). I've had two beautiful children with you now and they need so much more than you can give them. They need space. A house. A yard. 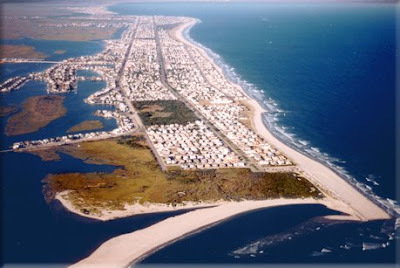 A beach close by. Legoland. What's really tragic is that you won't even notice I'm gone. You'll just move on to the next guy. A younger one. With better hair. Fresh off the bus and eager to please. You'll forget about me like all the others you've chased away over the years. I can't say I'm not sorry. I've fought hard to stay with you for almost 20 years now. But it's time. So goodbye New York City. I'm off to Los Angeles. For all I know I'll come screaming back, begging you to take me back into your arms. And you probably won't even notice I was gone. I'll be on the West Coast starting 'round the end of July. Will you at least wish me luck? Give me your blessing? 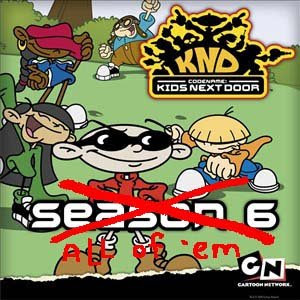 I've never been exactly sure WHY, but for some reason Cartoon Network has never made all the Codename: Kids Next Door episodes available to the world. They made two random episode DVD's, Sooper Hugest Missions Volume 1 and Volume 2 and they put up all of season six on iTunes as well as the mighty feature length Operation: Zero. But why can't you get the rest anywhere? Well, now you can on ZUNE! Every episode from every season!